The Chambers Semi Flush Mount Ceiling Light has a square fabric shade and glass diffuser to reduce the glar of light. 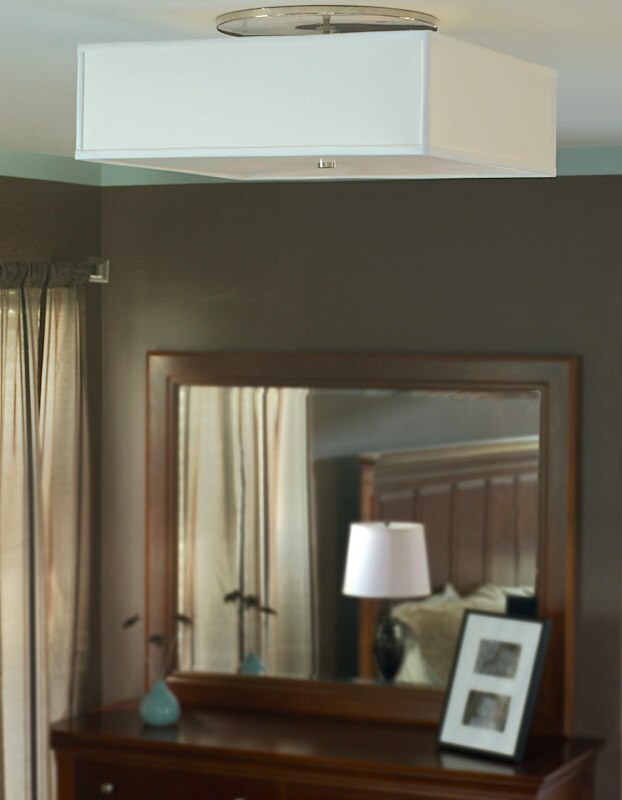 With satin nickel hardware, this stylish ceiling fixture will look great in your home or business! Use in pairs or multiples to create a unique look. Select incandescent or fluorescent lamping. Incandescent includes four 60W bulbs, and fluorescent includes four 18W bulbs.